If the elementary years are important because of the essential academic foundation that they create, then the middle school years are where the educational and character cornerstones are set for lifelong success. GHS middle school students enjoy a complete educational and enrichment program that prepares students for their choice of private or public high school, college and for life. Core subject areas of Language Arts, Mathematics, History/Social Studies and Science are further supported and integrated with classes in Spanish, Technology Instruction and Physical Education. Daily supervised Study Halls provide opportunities for students to complete assignments and check-in with their teachers and academic advisors. Each new trimester, students create a weekly schedule of daily Enrichment Classses from a menu of offerings including art, band, leadership, drama/speech, dance, and many others. These classes allow students to deepen an interest in a particular area or to develop new skills and passions. As well as a full and comprehensive PE program, our Athlectics Program ramps up to full speed in Middle School with eight different sports. Basketball, Cross-country, Flag Football, Golf, Soccer, Track, Volleyball, Wrestling are all offered regularly. GHS fields Junior Varsity and Varsity teams that compete against other public and private schools of similar size through the El Dorado Sports League. A variety of leadership and service opportunities throughout the year provide additional opportunities to develop and express strong character skills, confidence and resilience. The Sixth Grade is a common and natural entry point for GHS and faculty are accustomed to welcoming and supporting new students through the process of orienting them to our program, community and environment. Come visit Golden Hills School in El Dorado Hills. If you are new to GHS, moving from 5th grade to Middle School is the ideal transition period for a very important beginning. The importance of ensuring that the next three years involve positive academic, character and social development can not be overstated. 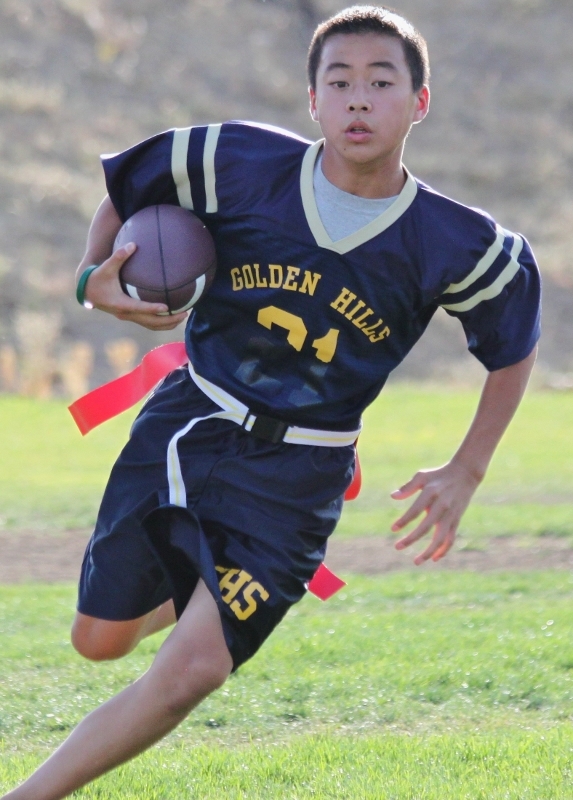 Golden Hills School has all of the assets needed to ensure that your child continues their love of learning in a safe environment that is supported by strong academics, a balanced curriculum, good peer pressure and a vibrant parent community. GHS is a fully-accredited, private, non-profit school, offering complete academic programs for students in Junior-Kindergarten through Eighth grade. We believe that the successful education of a child requires an equal partnership between students, their parents, and the school. At Golden Hills School, we are committed to nurturing and developing this partnership to ensure a superior educational experience for each of our students. GHS is conveniently located at:1060 Suncast Lane just off of Latrobe Blvd/El Dorado Hills Blvd. in Business Park #2, El Dorado Hills. Close enough to keep your relationships and your children's friends intact as you build new ones. We have families from Folsom, Placerville, Shingle Springs, Rescue and other surrounding communities. Schedule a personal informational tour today by calling 916-933-0100 or contact us. 1. What classes do I take in Middle School? 2. How many times per week do students have these classes? The Middle School week is Monday to Friday from 8:10 am to 3:10 pm. Students have a 50 minute period of Language Arts and Mathematics every day of the week. History/Social Studies and Science classes are three days a week although some classes are 90 minutes in length in order to acheive the benefits of more comprehensive and in-depth class discussions, projects and experiments. Computer Technology classes take place once a week although computer technology is integrated into every subject in the Middle School. Spanish classes take place three times a week as do P.E. classes as well. Enrichment classes takes place every day at the end of the day Finally, Study Periods occur each day and allow students to complete assignments and some of their homework and allow teachers and students to connect and work on improving understanding and supporting superior work. 3. How big are Middle School classes? Middle School class sizes vary but our maximum class size is 24 students. In Language Arts and Math, we split the classes roughly in half providing greater opportunity for teachers and students to work closely together. 4. How much homework do Middle School students typically have? GHS believes that homework is a necessary part of a student’s educational process. Students are expected to develop good work and study habits. Homework will be assigned to practice skills already learned in class and other assignments will give the student an opportunity to enrich his/her classroom experience. Homework assignments are given only after students have been given adequate instruction in class. Grades 6-8 have about 90 to 120 minutes per day. This does not include long-term projects or studying for tests. If students are spending significantly less or more time than this, a conference with the teacher may be warranted. 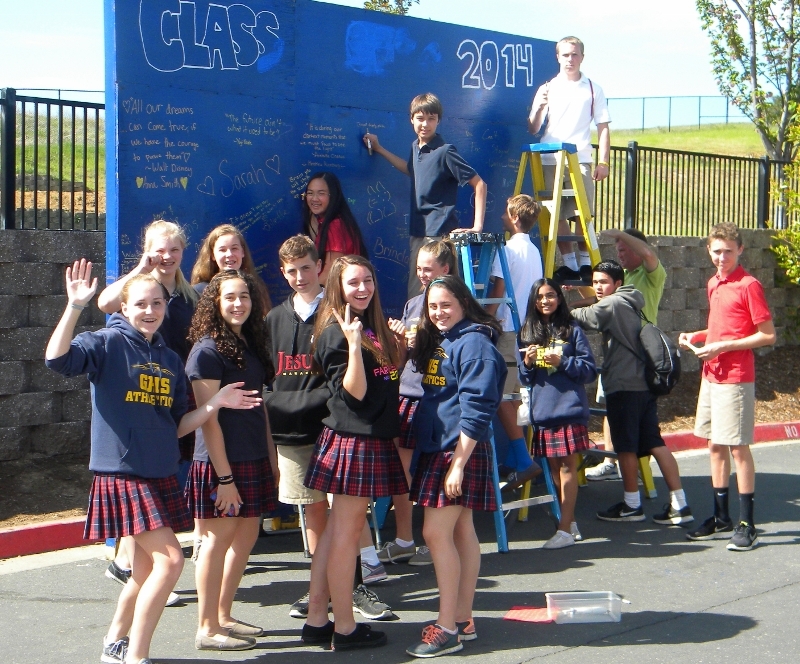 Enrichment is an opportunity for students to pick from a variety of classes that are offered each trimester. Each trimester selections can change depending on the time of year, and students change their choices as they design their own Enrichment class schedule. Classes are offered that allow students to explore new interests and skills, and where they have a chance to go deeper into an interest they already have. Your Enrichment class schedule can have up to 5 different Enrichment classes a trimester. 6. Do 6th grades have any interaction with 7th and 8th graders? Yes. Building a strong Middle School community is an important part of our success in Middle School so we find opportunities to bring our students in 6th, 7th and 8th grade together. Enrichment classes are a time when, depending on the classes chosen, students will be with 7th and 8th graders. Golden Groups is also another time where 6th, 7th and 8th grade students will be together. Depending on the schedule, students may also have P.E. with either 7th or 8th grade. 7. Do students go on any field trips? Of course. At the startof the year, each grade level goes on an overnight field trip (between 2 and 3 nights) and, depending on the location, is provided with team bonding activities and experiences. These field trips are what middle school students look forward to every year. Most recently, 6th graders went to Point Bonita, 7th graders went to Coloma and 8th graders went to Asilomar Learning Center in Monterey. Although these locations may change as we find new and better opportunities, these locations give you an idea of the types of locations the middle school students visit. There are also various day field trips throughout the year, which may include the B Street Theater, Sierra College National History Museum, and Sacramento Science Discovery Center. 8. What is Beehively and how is it used in Middle School? Golden Hills School is using an online program called Beehively to manage school information. We use this web-based application to increase school to parent communication. This includes school-wide and classroom announcements, calendar events, school files & special event information. 9. What athletics programs are offered in Middle School? You can join any or all of the sports listed. Study Hall is a daily period offered is Middle School at Golden Hills School. Study Hall is designed to help students manage their coursework load. 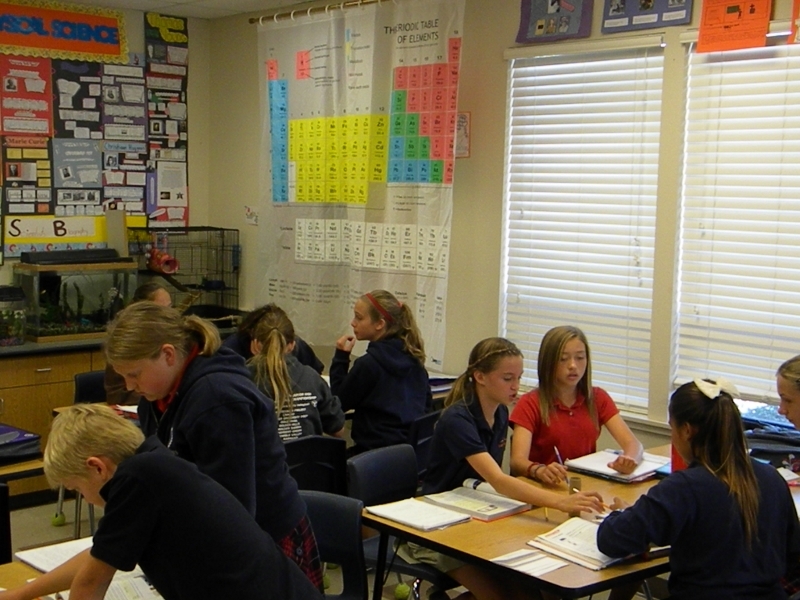 During this supervised class period, students work on their homework for various classes. An instructor is available for individual help and questions. Although there are often long-term assignments and reading still to be completed at home, Study Hall provides students with an opportunity to get a head start on their work and also to meet with teachers for additional individualized instruction as necessary. The inclusion of this period in the daily schedule reflects the school's commitment for students' lives to be enriched with opportunities to participate in school sports and other personal activities outside of school. GHS students shined at the Christian Brother Math Invitational! 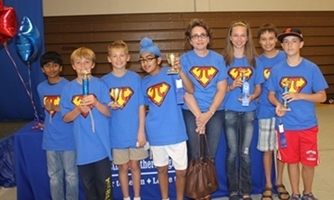 Congratulations goes to Sahej N. for achieving a first place finish among all sixth graders. Congratulations also to fifth grader Spencer S. who scored the third highest score on the fifth grade test. In team competitions, our sixth & seventh grade teams took first place among all other teams and our fifth grade team had the 3rd highest overall score! We are very proud of our students for the outstanding results.